Your wedding stationery is something that you think about after you've chosen your wedding venue. This is for a few reasons; you will need to know the kind of wedding you're going to have (and the venue definitely sets the tone for this) and you will also have a fixed date- all the information you need to do your invitations. The vintage/ rustic theme is one of my most loved ones; there is so much you can do with it and you can make your whole day revolve around it and it will look so beautiful. 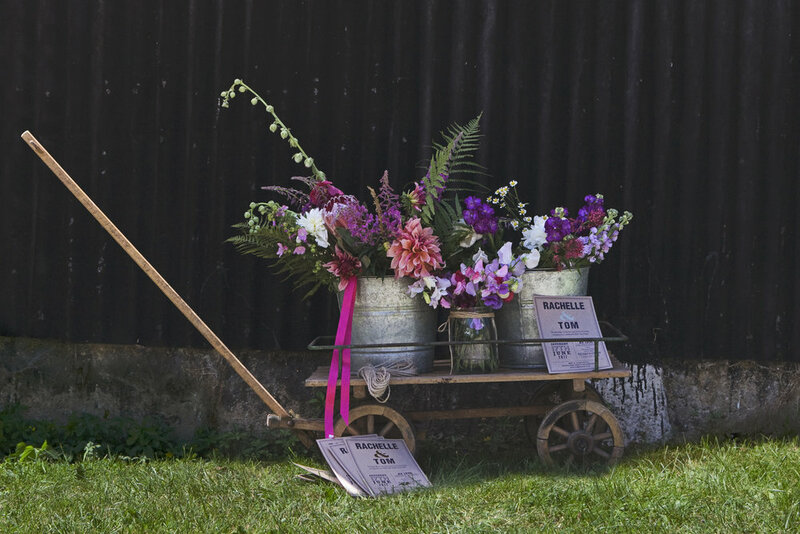 It's important that this theme is in keeping with your venue- I personally think it suits barn type weddings/ marquee weddings and maybe not the grand hotel type weddings. I hope this makes sense! There are so many different things you can do on the day to tie this whole theme together; please have a look at some of the images below (taken from pinterest) to give you some inspiration. Over the years, I have done many a bespoke vintage wedding invitation. Working with brown kraft paper is my favourite- it gives strong rustic vibes and looks fantastic. Twine, ribbon and cotton lace compliment this paper stock very nicely too. Have a look at some past vintage invitations that I have done below. Please do get in touch with your request, even if it's not indeed vintage! 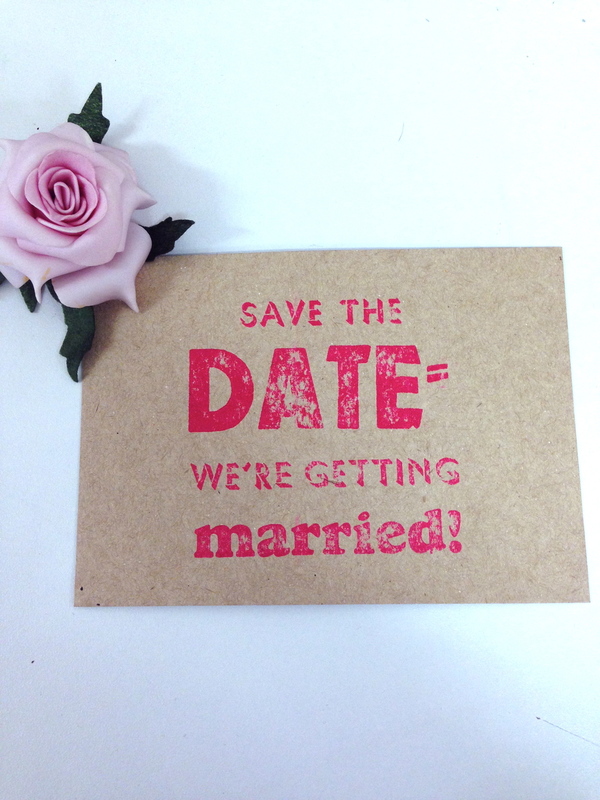 The Save the Date tags that you see in the first pic can be easily ordered on my website. 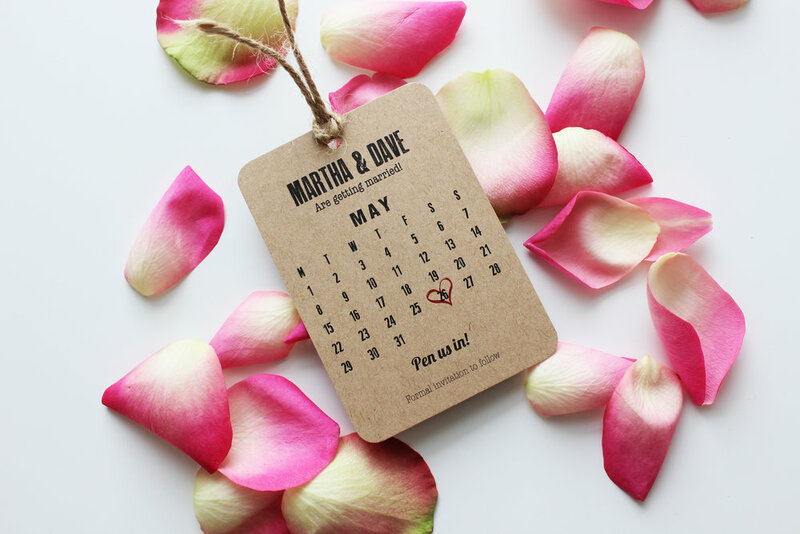 When it comes to sending out your Save the Dates, it might feel like a tricky one as you have yet to decide on a theme, wedding colours, flowers, etc. If like most, you would of chosen your wedding venue, your wedding date and you will just want to get this out to all of your lovely guests. This is why I have created a cute range of little tags that are inexpensive, varied and more generalised. With these tags, you can order them as they are (with your details of course)- I have designed bold ones, modern ones, more traditional ones, girly ones and some calendar type ones. 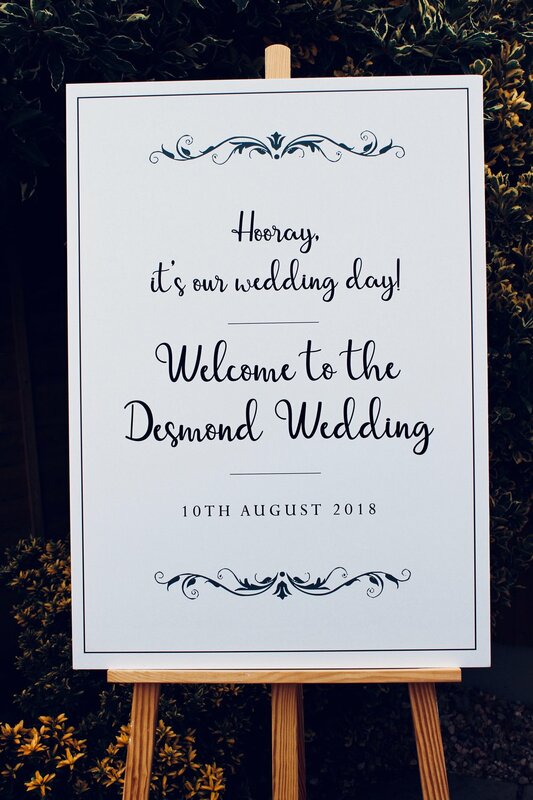 You can change the wording to accommodate your needs, you can choose a different colour for them to be in printed in and you can even mix and match different styles... The choices are endless! Have a look at the below image and if you like what you see, please do have a look at some more designs in the range here. I look forward to hearing from you! What I love about the wedding industry is that it is constantly changing, developing and it moves at such a fast pace... Which is why it's so important to stay on top of things, otherwise you may get left behind! I am constantly sourcing new materials, checking out Pinterest, looking around at fashion, graphics and people to get my new inspirations. I am being challenged everyday; with new & wonderful stationery requests, quick turn over demands, ensuring top quality on all of my finished products and a personal service that every bride to be deserves. With all of this in mind, I have a good comprehension of the wedding themes to come in 2017 and would love to share this with you. 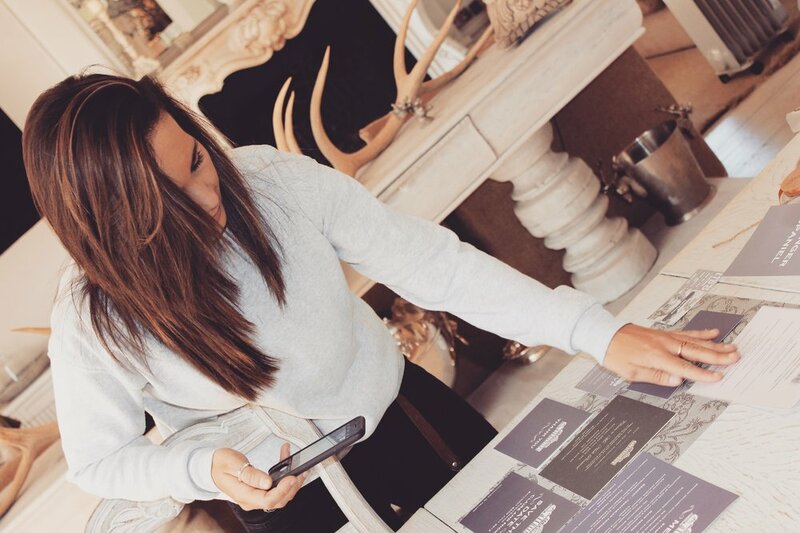 I strive for perfection and I want to ensure that I can fulfil all of your requests so don't hesitate to get in touch! 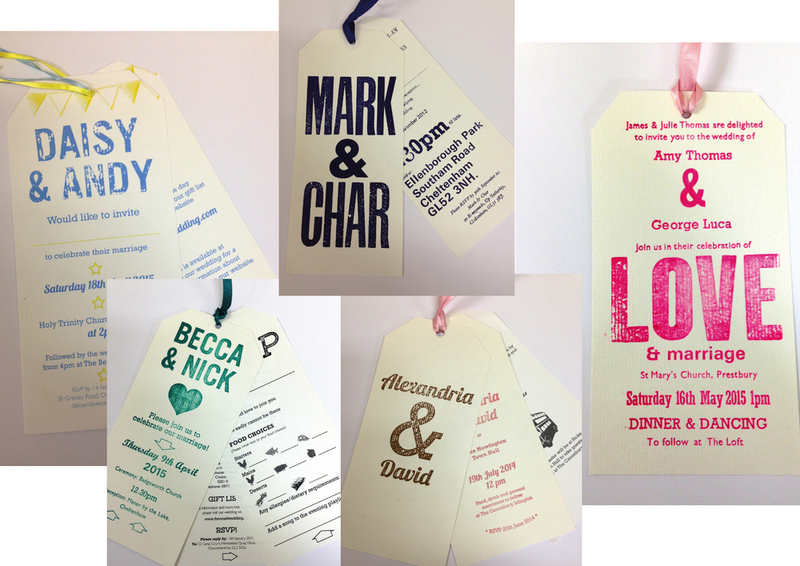 The luggage tag style invitation is definitely a favourite of ours... It's just a fantastic way of holding lots of information together- you can have as many sheets as necessary or even just one. They are elegant, different and fun! We've got a few different styles that you can choose from in our Boutique Collection which you can adapt and tweak to suit you and your desires. Or you can go totally bespoke like these ones exhibited in this post... Please get in touch if you'd like any samples sent to you so you can get an idea of the great quality of these invitations for yourselves. 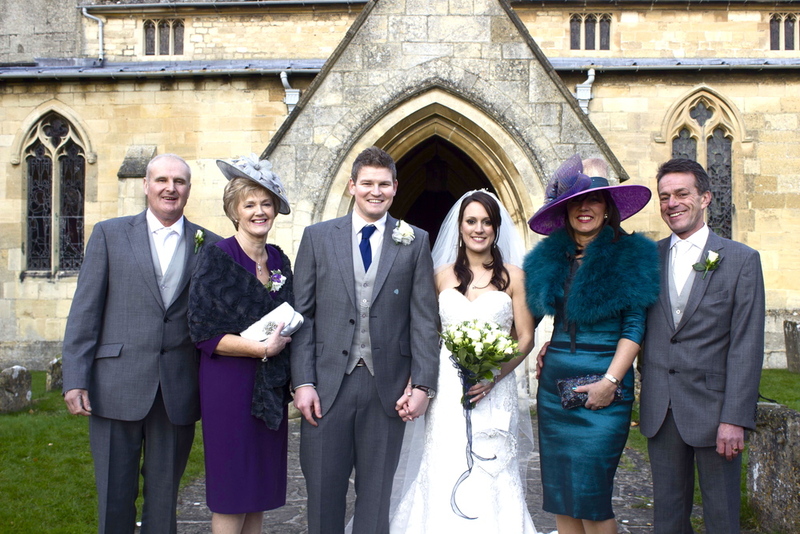 I believe that I'm very lucky to be living in the heart of the Cotswolds, where A LOT of wedding action happens! It's a great place for a wedding, whether you're originally from this area or are coming from outside... It's surrounded by lusheous green countryside, beautiful spas and hotels and a whole host of great suppliers. All found in once place- perfect! Save the Dates: to be sent out anything between 1 year to 8 months prior to the big day. The Invitations: to be received by the guests at least 3 months before the wedding day. This gives them a chance to RSVP, make arrangements and book it off. This gives you the chance to finalise numbers without panicing 1 month before- you'll have enough to worry about! 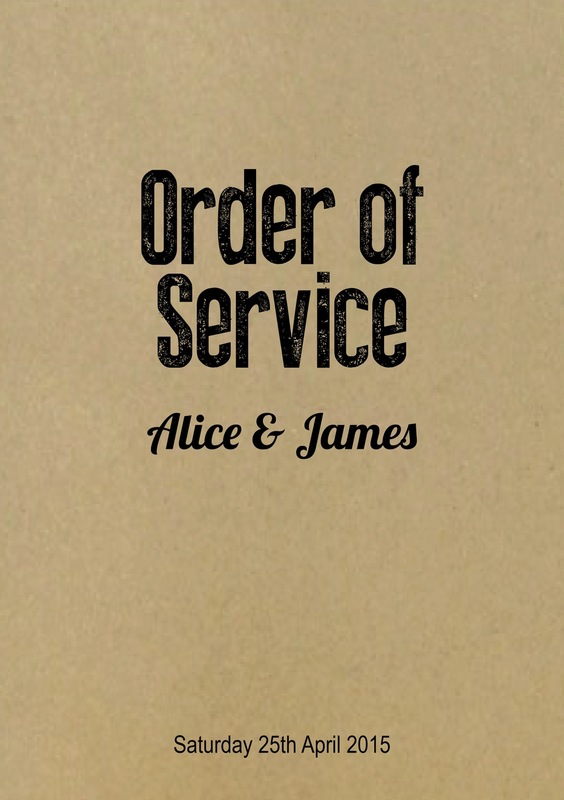 Orders of Service, table tags, other stationery for the day: In terms of design and production, this normally comes at a later date to the invitations. It's good to have these things a little in advance however, then you can see if you've got everything covered and all sorted. Bespoke thank you cards- obviously you will want these after your wedding day, but again, to cut stresses, it's best to get these done before with everything else. So if you need any of the above products, please don't hesitate to get in touch! 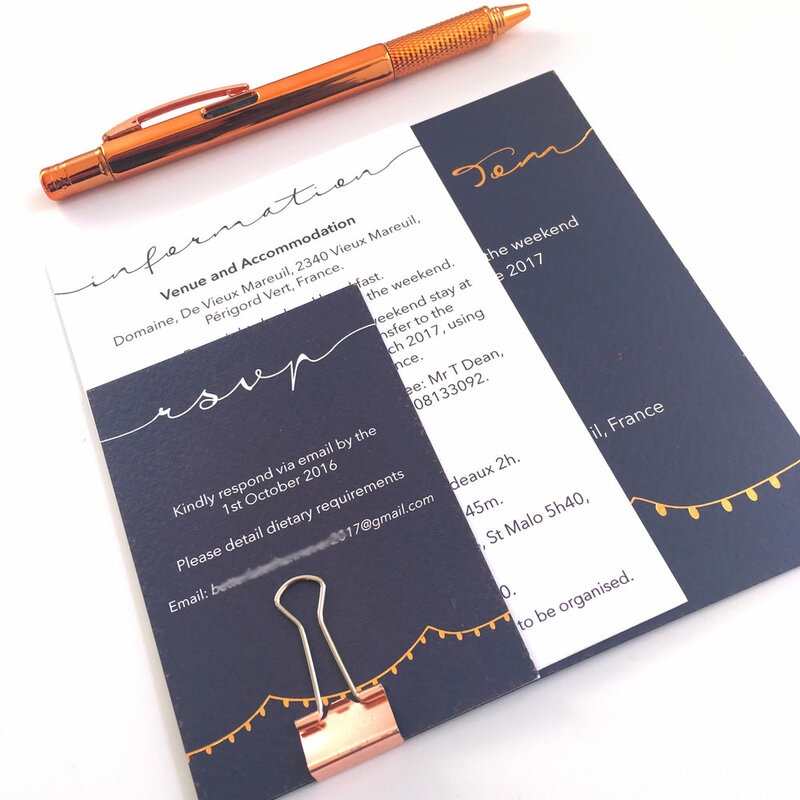 We tailor design and print all our stationery to suits the couple's needs so anything is possible!! Have a look at some snippets of our past stationery below and enjoy :) If you want to see more, check out our website. 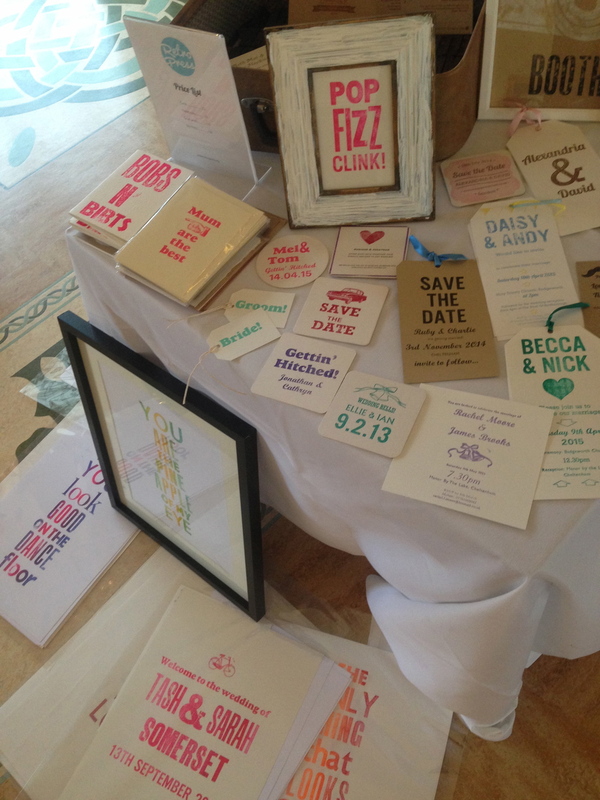 Bespoke letterpress wedding coasters are so great for so many different reasons and uses. Here at Retro Press, we have designed and printed the actual wedding invitations themselves on coasters, lots of Save the Dates, thank you cards/ coasters, place settings for guests and the lastest example I want to show to you is table names, to be displayed in the middle of the wedding tables. This was a really fun job for me as I had the freedom to design them however I thought apt. The brief: to design and print 15 different coasters with the 15 different named pubs (which the bride provided) on them. They had to be double sided, with boarders and using both square and circular mats. Please have a look at the below! If you're interested in getting your very own personalised wedding coasters for your special day/ event, please don't hesitate to get in touch, I'd love to help! 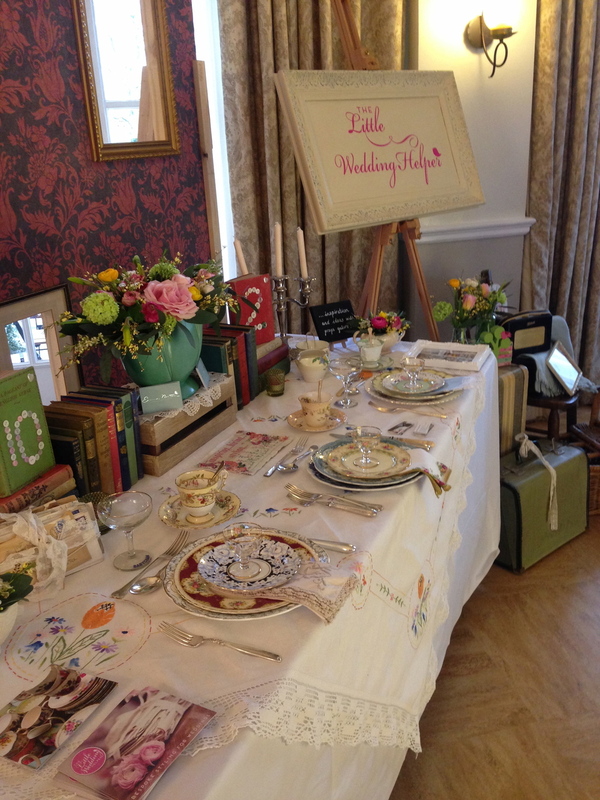 I was lucky enough to take part in the Bristol Vintage Wedding Fair, held at the fabulous Bristol Zoo last weekend. 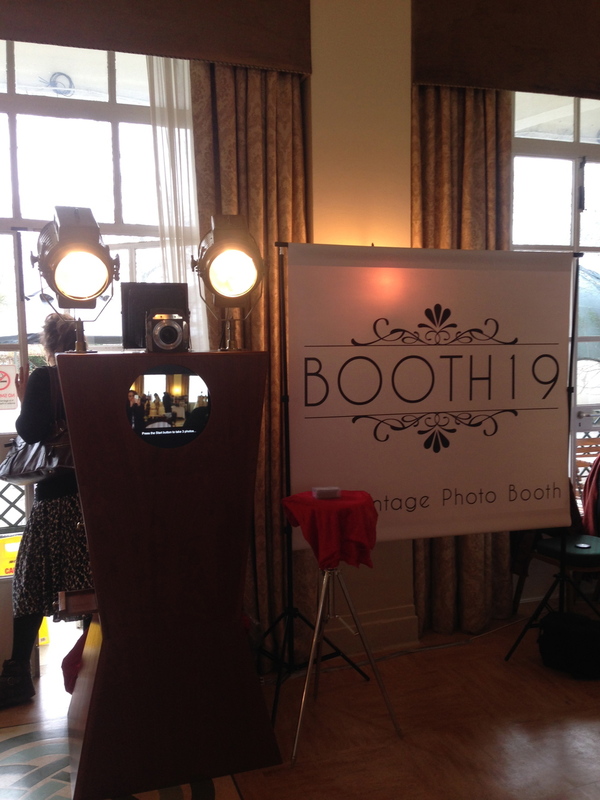 It was such a great event with many wonderful stands there, entertainment and a brilliant bunch of couples! 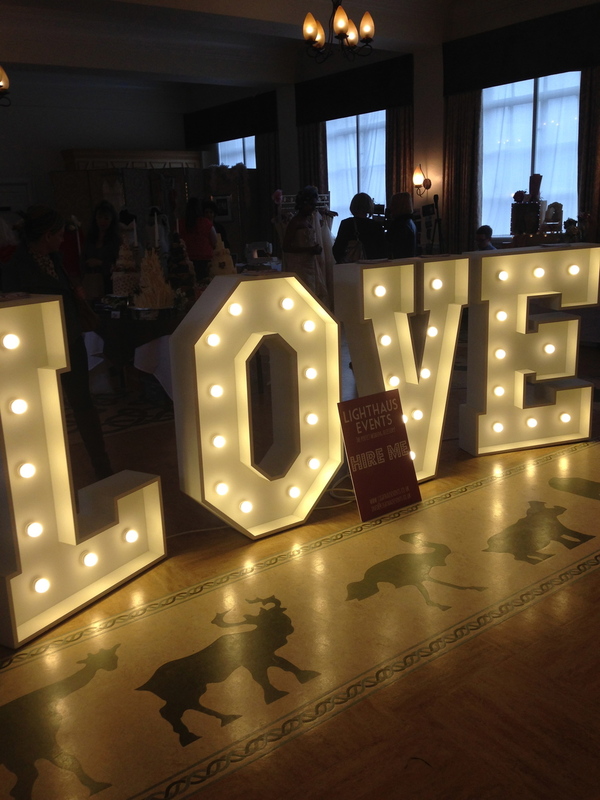 If you're after something a little different for your wedding day, then this fair had it all, from vintage photo booths to 1920's inspired jewellery. You could of sourced your whole wedding from this fair in one clean sweep! I met some great people, including both exhibitors and browsers, so I thought I'd share some pics from the day to maybe help inspire you also. Thanks so much for having me Ali- looking forward to the next one!! Calling all brides and grooms in the Southwest, Gloucestershire, Bristol, Bath areas... 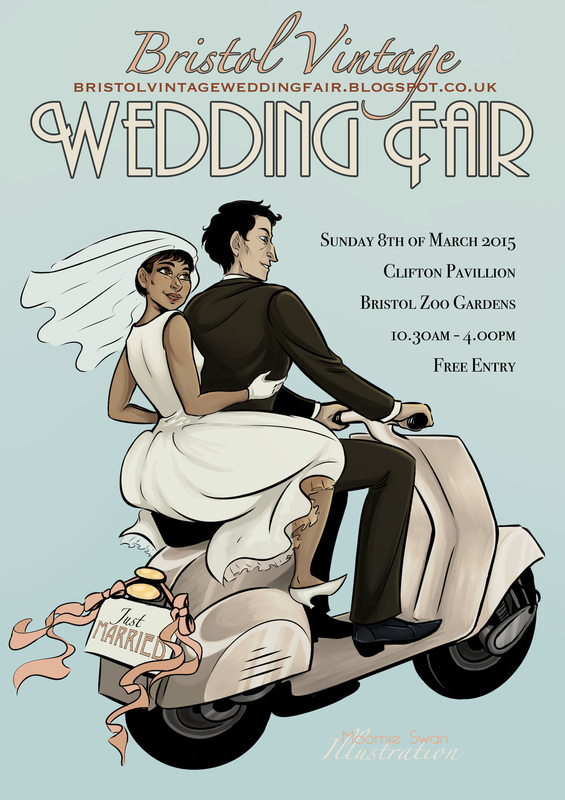 The Bristol Vintage Wedding Fair is coming up, SUNDAY 8TH MARCH 2015. I'm lucky enough to have a stand here exhibiting some retro/ vintage wedding stationery, with prints for sale on the day and other goodies! I'm dead excited to be at this show, along with many other talented and fantastic stands. It's vintage inspired and will be perfect for those of you who are looking for something a bit different and unique for your wedding day. For more information, see poster below or go to visit their blog. I look forward to seeing you there hopefully!! Just sit back and enjoy the pics as much as I enjoyed doing this job! 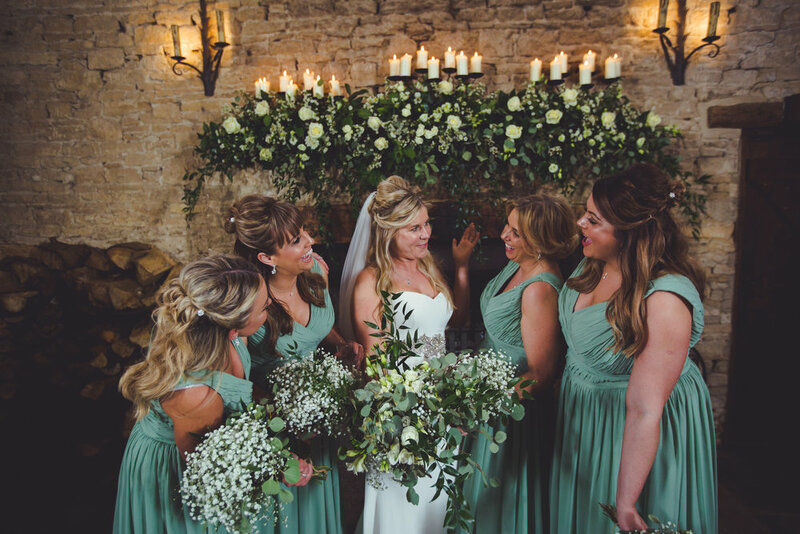 As you can see, Mark and Char's colour was predominately navy blue, with dashes of petrol blues, greys, creams and greens. 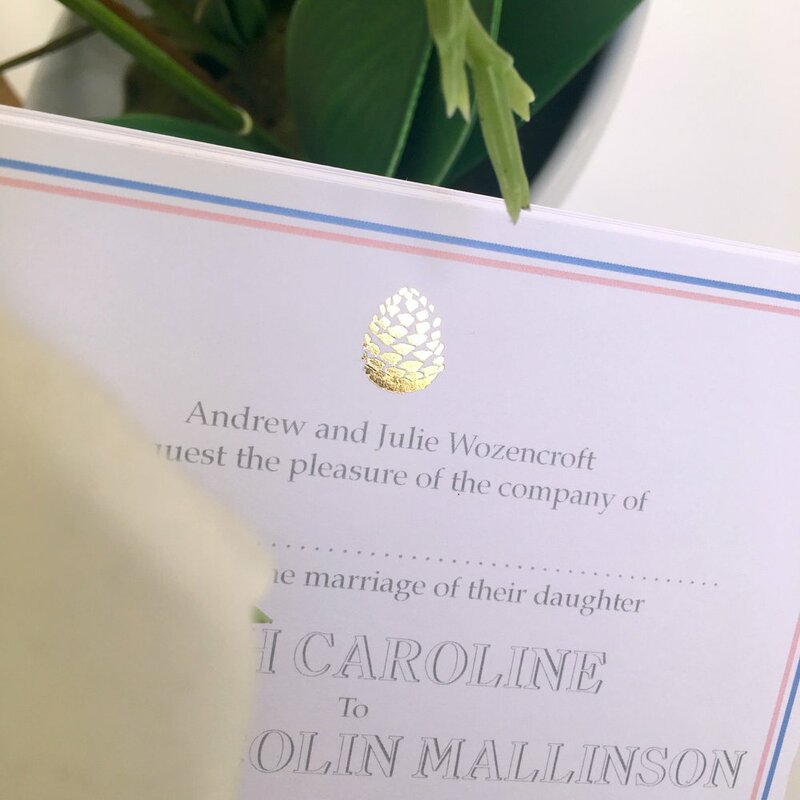 The brief was to make the invitations look a little quirky but keeping some parts traditional at the same time- like the text you'll find on the inside. I designed and letterpress printed the wedding invitations first with separate day and night ones. The rest of the stationery was based around these, in keeping with the modern theme. They decided to go for coasters as name tags because their wedding had a bit of a country Cornish theme (see pie! ), so they fitted in very well next to the pork scratchings and nuts on the tables! Are you thinking of doing your own wedding invitations? Do you need a little help? 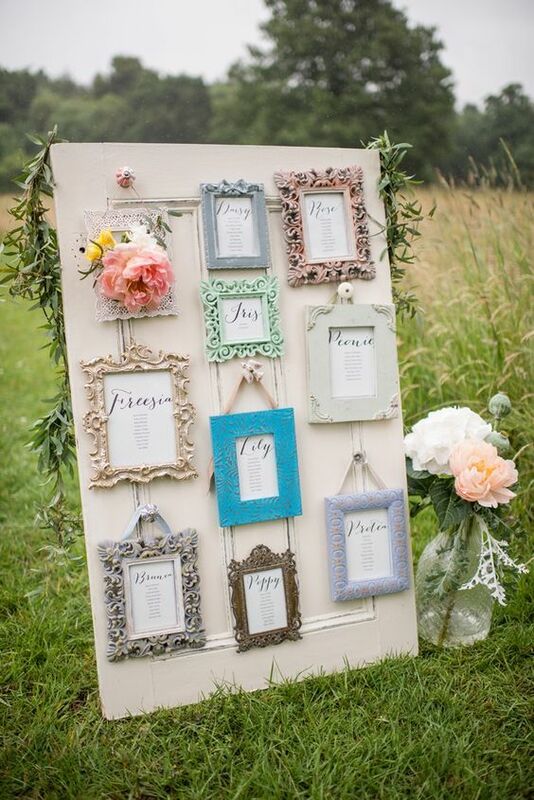 Do you dream of having those perfect wedding invites but just not sure how to go about it? Or don't have the space/ facilities to go about it? Why not come to my studio at Retro Press and let's crack em' together. I can help you as much or as little as you want and you will have access to all the letterpress equipment in the studio. 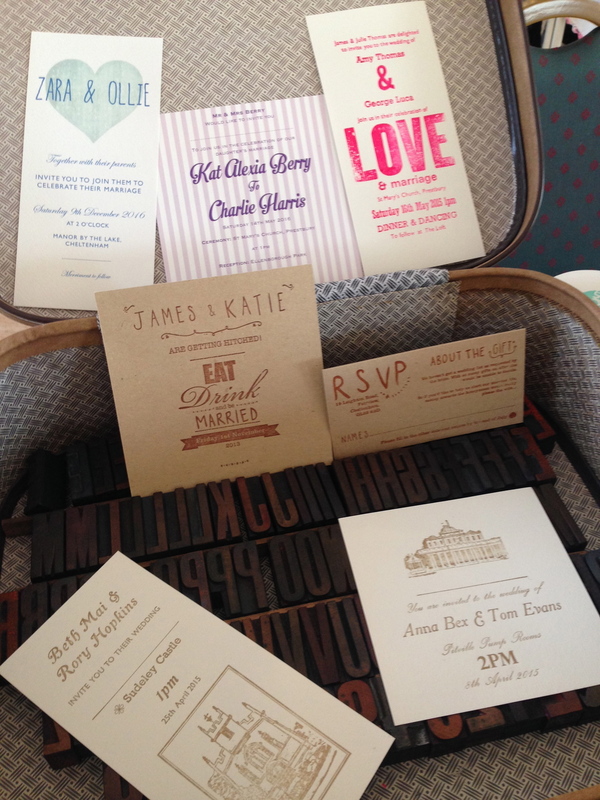 You don't even have to use letterpress but it is something exclusive that we can offer to you. And I totally concur! Which is why I'm offering this unique opportunity and service to come and do your wedding stationery here at Retro. I am very flexible in terms of days and times and I understand that many of you work through the week so a Saturday would be a perfect time to book in... You're more than welcome to bring a friend (or 2) along, your hubby/ wife to be, or come alone, it's totally up to you. There are no restrictions in terms of quantities- we shall discuss what you want to do before the appointed day and see what the realistic possibilites are... We can do it over 2 days if necessary. If you want to find out more in terms of costs, etc, please go straight to our website and get in touch. We can't wait to hear from ya! The Luggage Tag Wedding Invitation! This style of wedding invitation; the luggage tag or travel label is definitely a favourite of mine, and as you can see from just a few examples above, the bride's too! What is so great about this style then? - First and foremost, they look fantastic and they're certainly different to your standard folded wedding invitation. 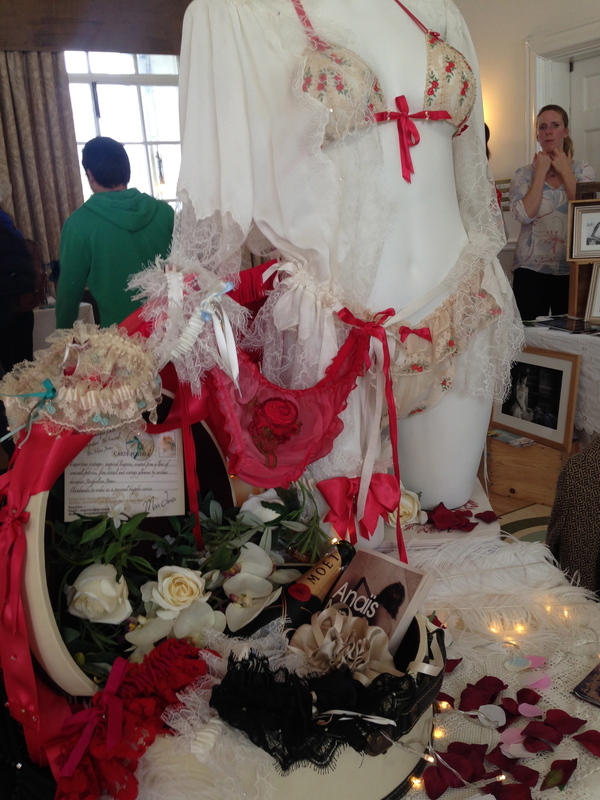 - You can colour co-ordinate the ribbon/ ink to match the specific theme of your wedding day. - You can simply add to the tags (or minus- say if the evening invites didn't need as much info) and hold it neatly together with the ribbon. - The invitation works well as a stand alone item or indeed a package. - The actual shape of the invitation allows for as much or as little info intended. - You can go traditional or contemporary and also mix up it up too... Endless possibilites! - And of course, it's vintage, retro and fun! 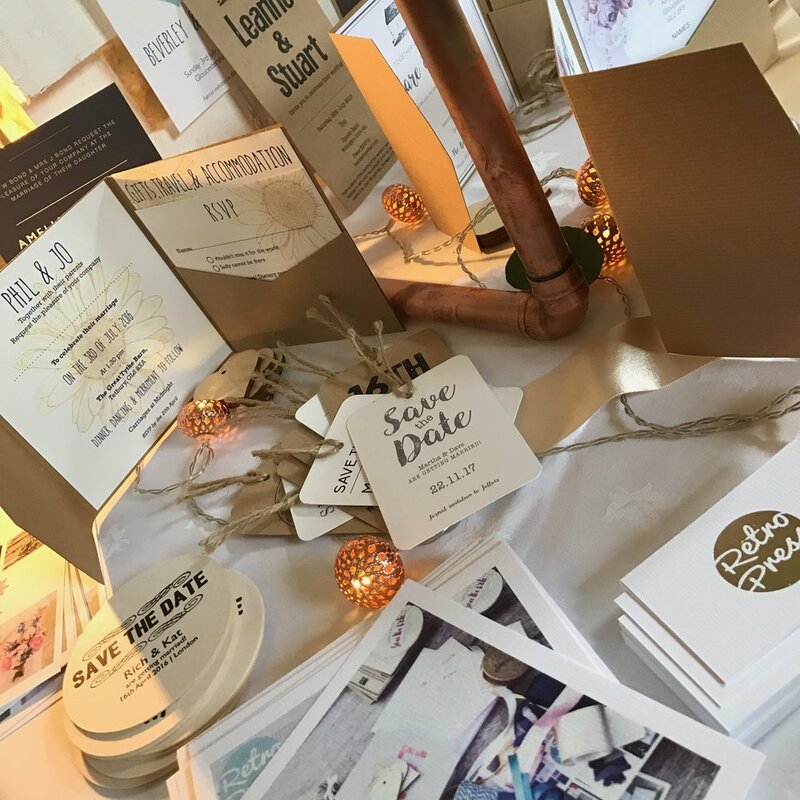 If you like the look/ style of this wedding stationery set, please have a look further on our website (where we have many more different designs), which will give you all the information about prices, personalisation and ordering.... ENJOY! Everything here at Retro is designed specifically for the individual client. We like to taylor make and design our letterpress wedding invitations just for you. But sometimes couples come to me with absolutely no idea of what they want, so I thought I'd start designing 'templates' if you like, or starting points in which can mould into a personal design. My aim is to do at least one a month, starting with this one... The LOVE & MARRIAGE wedding invitation. 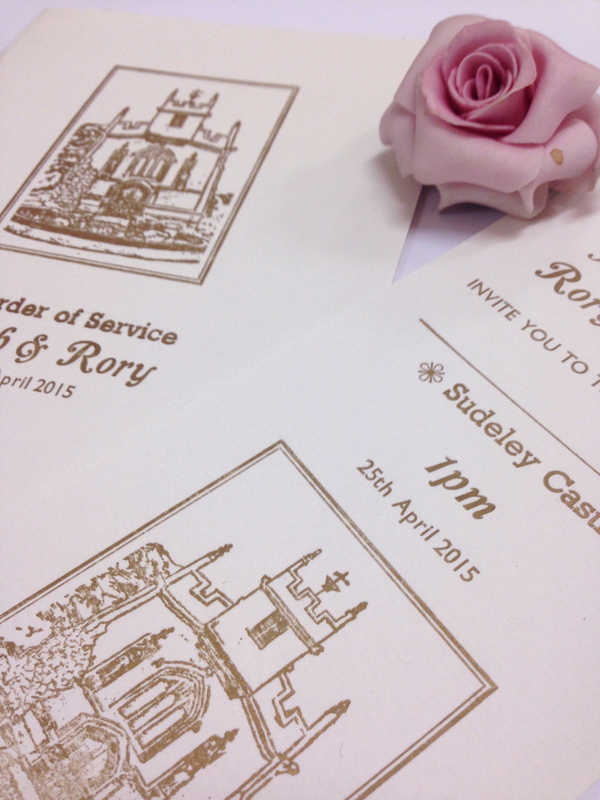 As you can see, we can print in any colour, so to match your colour scheme for your special day. One example is a neon pink ink printed on a laid off white paper and the other is a more rose, red colour printed on kraft brown paper. We can make it into a luggage tag as seen on the brown or keep it simple as with the white. It is designed to DL sized, thus matching the envelopes is easy and straight forward. You can order with or without envelopes. And in regards to the RSVP slip and additional info, this will be designed in the same style but bespoke to you as everyone requires such different details. Please get in touch for more details, prices etc. Who doesn't love a pink wedding...! This bold fluorescent vibe is really taking off in the wedding world, which is great because it totally matches the style and feel to the wedding stationery I do here at Retro Press. It is also very hard and expensive to reach this colour through digital printing, hence why you should go for the letterpress option every time! I thought I'd give you a little preview of the wedding stuff I've already designed and printed in fluro pink in the past, as Retro Press is coming together with the wonderful Kirsten from The Little Wedding Helper to do a little bridal shower photo shoot... How exciting!! It's got a great theme to it (I don't want to give too much away yet!) and I've got no doubt that Kirsten has got a few other surprises up her sleeve too! Watch. This. Space...! Below are a few images of some previous letterpress wedding stationery all of which was designed and printed here at Retro Press. Including bride and groom tags (which can be easily purchased on Retro's online store), an order of service, a wedding poster and a whole wedding package, including the Save the Date, invitation itself, separate RSVP slip and thank you cards- all printed in this lush neon pink colour. 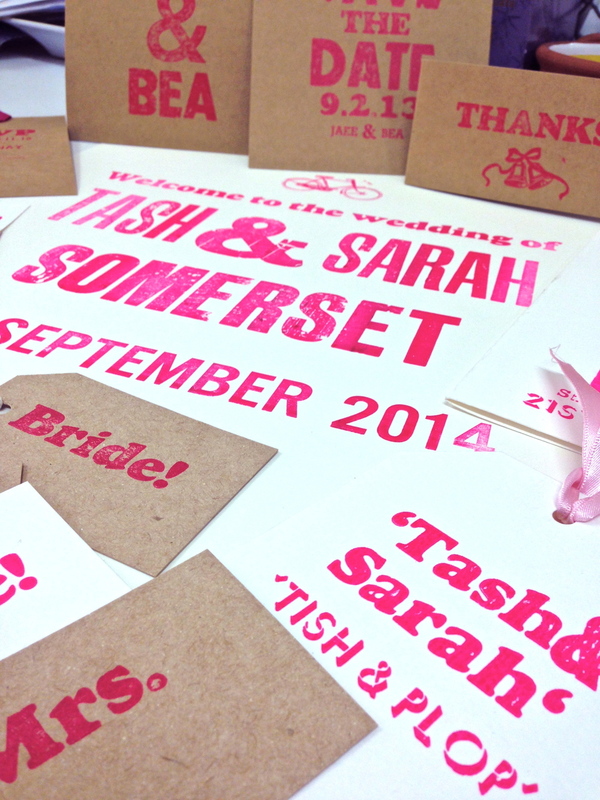 After speaking with Kirsten, I decided to print more neon pink letterpress goodies for the shoot. One of my ideas was a Save the Date postcard, which you can see below and also be purchased at www.shopretropress.com. All you have to do is let me know the specifics and vwallahhhh, you have yourselves some personalised letterpressed Save the Date postcards! I'm dead excited about being part of this bridal shower shoot with Kirsten and of course I shall share it with you once it's all out there :) In the meantime, have a look at Kirsten's awesome website, www.littleweddinghelper.co.uk and get in touch with me if anything 'catches your eye' and you fancy a bit of fluro in your life/ wedding! !